Leigh Community Art Group is holding it's second show at Boothstown Community Centre, Standfield Drive, M28 1NB this Saturday 6 December 2014. It is open from 9.00 a.m. until 3.00 p.m.(approx). It is a great opportunity to buy an original Christmas present for family and loved ones at very reasonable prices. There is parking available and here is the map link. Meanwhile here is a new work from J. Reason. 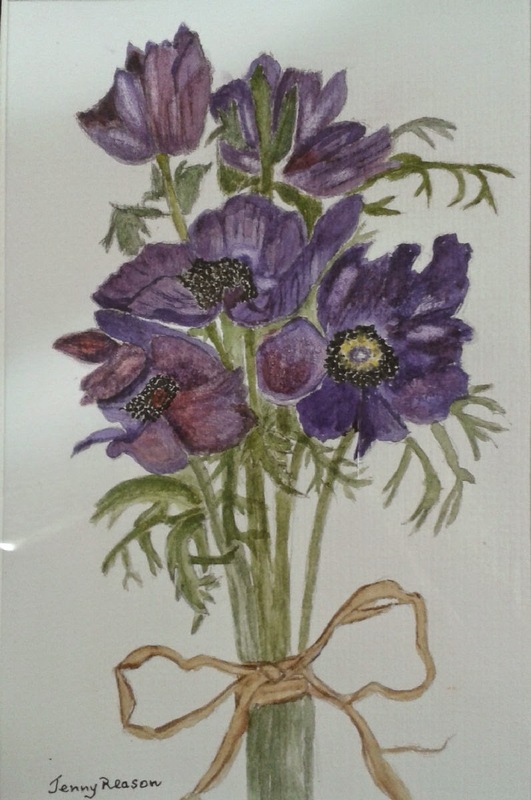 It is titled "Anemones" It is painted in watercolor and costs £30.00. It is 9.5 inches by 13 inches. Enquiries to the phone number under "Contact Us" , top left of this page.